The ancient Greece has a number of inventions and discoveries attributed to them. Even though, the fact remains, most of their discoveries were corrected in subsequent generations. Their findings in the area of astronomy, geography and mathematics, pioneered the age of science. The Greek interest in scientific specification of physical world can be seen as further back in the history in the 6th century BC. The invention and discoveries in the ancient Greece were pioneered in the versatile area. Being, the father of science, or the father of medicine, or the father of zoology, and several other pioneers in different fields of science, Greece contributed a lot to the modern world discoveries and inventions. The remarkable leader like Alexander the Great and Pericles, and their innovative and philosophical ideas even created and motivated other thousands of well disciplined people that created history with their unbelievable creation. Here is a list of top 10 inventions and discoveries of ancient Greece that are remarkably used till today. Not so long ago, water mills were a revolutionary invention used all over the world for the purpose of metal shaping, agriculture and most importantly, milling. To mill meant to grind, and that invariably meant to grind grain. This in turn led to production of edible food staple like beaten rice, cereals, pulses, flour and so on. Ever since its origination, water mill has seen a number of subsequent variations, which enabled people to use its milling features into different raw materials. These mills are still used in many parts of the rural world to serve similar purposes. This useful invention takes its roots of origination from the earliest known Perachora wheel, created way back in 3rd century BC Greece, most likely by the contemporary Greek engineer Philo of Byzantium. 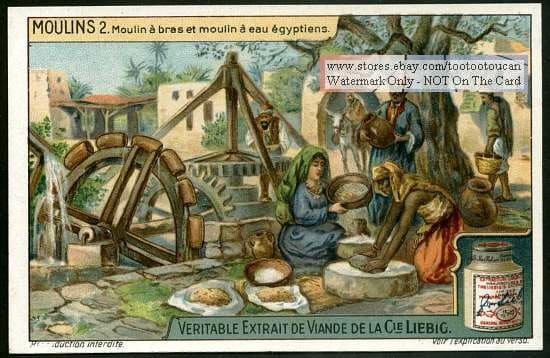 Earlier, the portions of the mechanical treatise on this particular water mill written by Philo himself were regarded to have Arab origination. But recent researches by British historian M.J.T. Lewis proved that water mill has an authentic ancient Greek origin. One of the most widely used instruments in present day, odometers measures the distance travelled by a vehicle such as bicycle or any other automobile. Even though, the modern odometers are digital, not so long ago they were more mechanical, slowly evolving into electro-mechanical with the rise of technology. This omnipresent instrument was also originated in the time of ancient Greece. Even though, an odometer was used for measuring distance, it was first described by Vitruvius around 27 BC, evidences point towards Archimedes of Syracuse as its inventor sometime around the first Punic war. Some historians also attribute its invention to Heron of Alexandria. 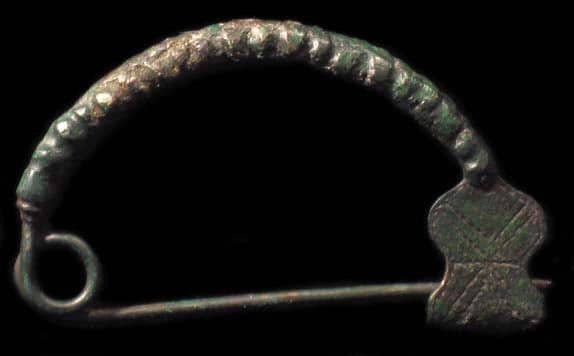 Regardless of that, once invented, it was widely used in the late Hellenistic time and by Romans for indicating the distance travelled by a vehicle. It helped revolutionize the building of roads and travelling with it by accurately measuring distance and being able to carefully illustrate it with a milestone. One of the most commonly used gadget these days, an alarm clock also had its origin in ancient Greece. Yes, in due course of time and with the proper sophistication of technology, the alarm clock went through a number of changes from a mechanical alarm to the modern gadgets like cell phone, which come with inbuilt alarm. But the first of alarms used by ancient Greeks were nothing like today. They used to integrate mechanism to time the alarm which would sound off delicate water organs or pebbles into drums. 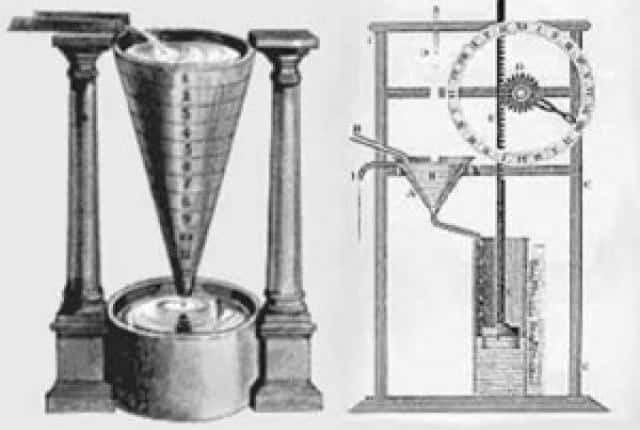 The ancient Greek philosopher Plato (428–348 BC) said to possess a large water clock with an unspecified alarm signal similar to the sound of a water organ; he used it at night, possibly for signaling the beginning of his lectures at dawn. The Hellenistic engineer and inventor Ctesibius (285–222 BC) fitted his clepsydras with dial and pointer for indicating the time, and added elaborate “alarm systems, which could be made to drop pebbles on a gong, or blow trumpets (by forcing bell-jars down into water and taking the compressed air through a beating reed) at pre-set times. Cartography is the study and practice of making maps. It has played an important role in travel and navigation since ancient times. Even though the earliest known evidences of cartography points towards the ancient Babylon in a time as early as the 9th century BC, the Greeks took, what they had at their disposal and brought cartography into new light and possibilities. Anaximander was one of the pioneer cartographers to create the map of the world. Born between 611-610 BC, this map maker of the ancient world made important contributions to the sciences of astronomy and geography. 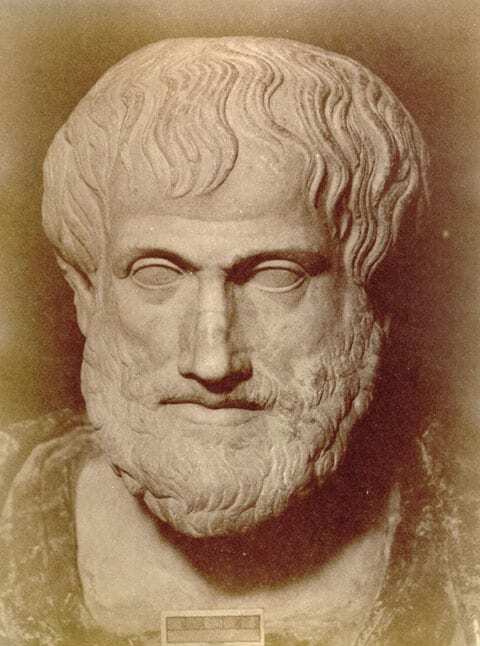 This map maker finds his mention in Aristotle’s work, who categorized him as the pupil of the physical school of thought, propounded by Thales. A reputed cartographer, Anaximander presented the inhabited regions in his map of the world. The map appeared in tablet and featured Ionia in the center. The world map bounded on the east by the Caspian Sea. It stretched to the Pillars of Hercules in the west. Middle Europe borders the map in the North while Ethiopia and the Nile featured at the southern end of the map of Anaximander. 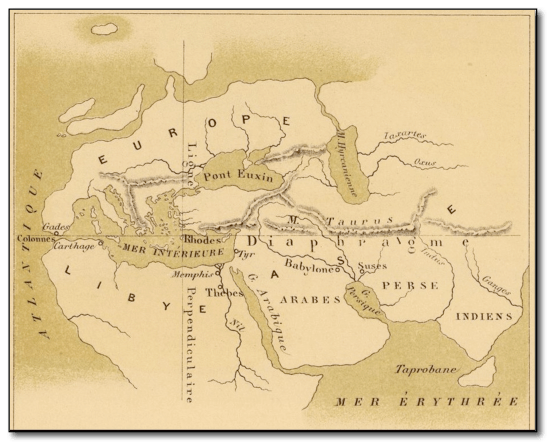 Anaximander made immense contributions in the field of cartography and geography and his map of the world was indeed a marvelous achievement of that time. The modern Olympics are one of the greatest spectacle in sports of the modern age. But when Pierre de Coubertin, the founder of the international Olympic committee started the first modern Olympic in 1896, he was extensively inspired by the ancient Olympics that used to be held in ancient Greece more than 2700 years ago. According to historical records, the first ancient Olympic Games can be traced back to 776 BC. They were dedicated to the Olympian gods and were staged on the ancient plains of Olympia. The Isthmos game was staged every two years at the Isthmus of Corinth. The Pythian games took place every four years near Delphi. The most famous games held at Olympia, South- West of Greece, which took place every four years. People from all over the Greek came to witness the spectacle. The victors were given olive leaf wreaths or crowns as a prize. Geometry with or without a doubt one of the oldest branches of mathematics, if not older than arithmetic itself. And its practical necessity demanded, use of various geometric techniques much before any recorded history. Yes, the Egyptians, Babylonians and Indus were among the first to incorporate and use many of such techniques but they were never interested in finding out the rules and axioms governing the geometry. The babylonians assumed value of Pi to be 3 and never challenged its accuracy. Then came the age of Greek geometry and changed the entire perception towards it. The Greeks insisted that geometric facts must be established by deductive reasoning, much like how it is done these days. Thales of Miletus, regarded as father of geometry,gave a number of axioms and rules that were true based on reasoning (called mathematical truths) in the 6th century BC. Then came the likes of Pythagoras, Euclid and Archimedes whose geometrical axioms and rules are still taught in schools today. There were many more Greek mathematicians and geometers, who contributed to the history of geometry, but these names are the true giants, the ones that developed geometry as we know it today. The ancient world did not fare too well when it came to cure diseases. Back then, diseases were supposed to be god’s way of punishing humans and all possible remedies were surrounded by superstition. That’s all changed on Hippocrates of Cos started to collect data and conduct experiments to show that disease was a natural process; that the signs and symptoms of a disease were caused by the natural reactions of the body to the disease process. Born in 460 BC, Hippocrates was an ancient Greek physician of the Classical age and was considered one of the most outstanding figures in the history of medicine. He was referred as the father of western medicine in recognition of his lasting contributions to the field as the founder of the Hippocratic School of Medicine. 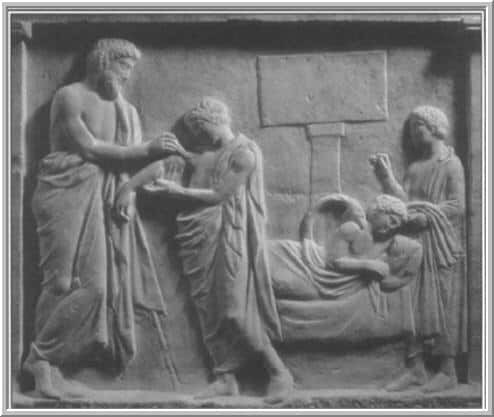 The most famous of his supposed contributions is the Hippocratic Oath, which bears his name accordingly. It was this document that was first proposed as an ethical standard among doctors, when doing their work. It brings up important concepts, we still use today, such as doctor-patient confidentiality. 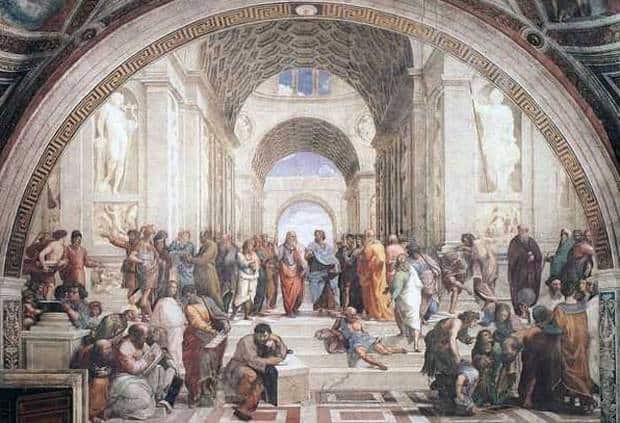 Before the age of ancient Greece, the world did not see philosophy as we see it today. It was more shrouded with superstition and magic than it would be ever after. For instance, if the Nile would rise and flood, making the soil dark and fertile, the Egyptians would believe it happened because their pharaoh commanded the river to do so. But the Greeks approached philosophy from a different direction. They developed philosophy as a way of understanding the world around them, without resorting to religion, myth, or magic. In fact the early Greek philosophers were also scientists who observed and studied the known world, the earth, seas, and mountains here below, and the solar system, planetary motion, and astral phenomena, above. Their philosophy based on reasoning and observation of the known world played a pivotal role in the shaping of the western philosophical tradition. 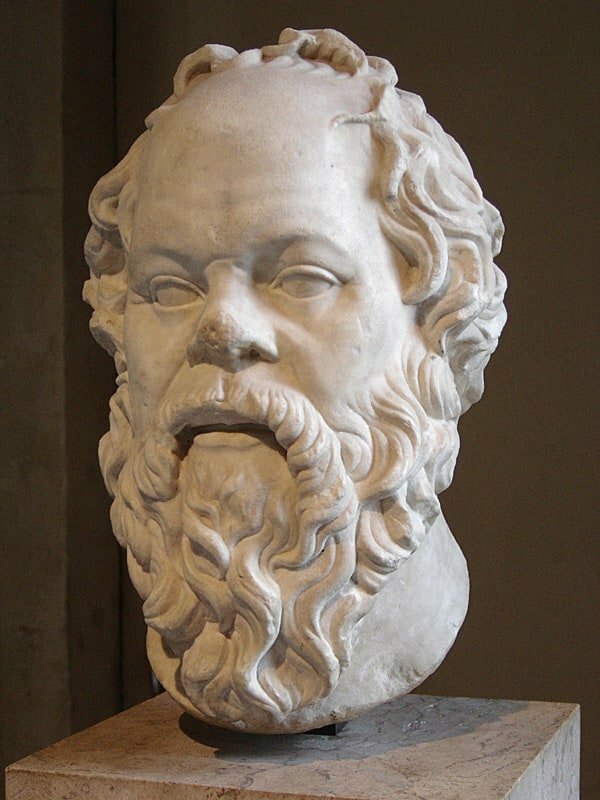 Philosophers like Socrates, Plato, Aristotle gave such influential philosophies that their studies were used to teach in the subsequent ages of Romans and other western cultures. The idea of every citizen has an equal opportunity of having in turn a share in the government constitutes the concept of democracy. It is one of the widely used styles of governance in the modern world. And even more fascinating is the fact that democracy also had its origins in the ancient Greece. In fact the concept as well as implementation of democracy can be traced back from the present day to ancient classical Athens. Although there are evidences that democratic forms of government, in a broad sense, may have existed in several areas of the world well before the turn of the 5th century, it is generally believed that the concepts of democracy and constitution were created in one particular place and time – in Ancient Athens around 508 BC. For this reason, Athens is regarded as the birthplace of democracy and was also considered as an important reference point of democracy. 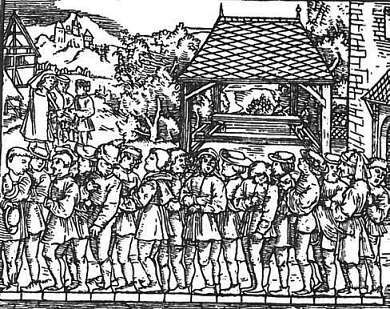 This transition from exploitation of aristocracy to a political system, where all the members of the society have an equal share of formal political power had a significant impact in the civilizations that came down the line. It would be only fair to say that, given the evidences, the ancient Greeks had made some outstanding contributions in various branches of science. They made some astounding discoveries in the field of astronomy, biology and physics among others that broke contemporary stereotypes on those subject matters. The intellects in ancient Greece excelled in mathematics, physics and astronomy. Aristotle gave the idea of earth being a globe. He also classified animals and if often referred to as father of zoology. Theophrastus was the first botanist, we know of in written history. The pythagoreans not only made the earliest of advances in philosophy and geometry, they also proposed the heliocentric hypothesis with the earth revolving around sun and not the other way around as believed at that time. This idea was so ahead in time that it was disregarded as blasphemy. Archimedes discovered that submerging a solid object will displace an amount of liquid that matches the object’s weight. The Greeks had so much so influence in the early concepts of science, that most symbols often used in physics and higher math equations are derived from the Greek alphabet. Without any doubt, Greek society inspired achievements that shaped the foundation of Western ancient civilization. They were sensible and daring enough to go into directions, no other civilization had tried to dwell into before. They went on to accomplish great feats in arts, philosophy, science, architecture and many more. Although some of their ideas may have been discarded in due time, many of the ancient Greeks’ discoveries and inventions are still used today. One of the major discovery that the sun is in the center of solar system was once ignored, but later rediscovered and agreed upon. From cannons, to escapements, to plumbing, urban planning, wheelbarrow, showers, the first light house, the ancient suez canal and many more, the list of popular used ancient inventions and discoveries in no way is limited to a mere list, for there are many of them. The Ancient Greeks certainly made a lasting impact on the world! Most people are well aware that they founded democracy and held the first Olympic games. However, they also need to be given credit for practical inventions such as the odometer and alarm clock! Half of the “inventions” is false.For example: carts. This is the Phoenician word of the famous seefarers.There are hundreds of Europea words with the root “cart” or “card” or even court. Yes, sad that the ONLY place in the world to have backward and uneducated people are in the villages in Greece…hmm very sad indeed. Well that’s not typically true because back then for the Greeks and Greece people they did get an education math. biology, and science, so therefore they did have an education. Well, Greeks are still in the top scientists and they are the most wanted all around the world because their educational system is one of the best and because the are smart. Especially in the medical field. They make scientists who can study and learn everything and not average-educational idiots like yourself who speak without opening a book first. Google is your friend, so use it! Can you do it? Next open a history book and see in how many wars Greece was before you dare to speak about her. She fought for her freedom so many times and she came out victorious! I bet you don’t know what it means “fight for your country”. What you need education for when you don’t have love for your country and for her people. What do you need education for when you are not willing to die for your county. Those villages you speak of, their people love their country, fought for their country and will die for their county any moment. You won’t. You will leave like a coward. the Greeks don’t run. They fight! After being in so many wars Greece had to start over again and again and again, when your country was in the “la la land”. So it was impossible for her to be your perfect evolving society! So get down from you high horse and the next time you will speak about Greece, first wash your mouth. Greeks got you down from the trees, like the monkeys you were, and the only thing you do is to disrespect her like that. If you would leave her alone she would be more involved, but what am i saying? You don’t know her history! You won’t understand.